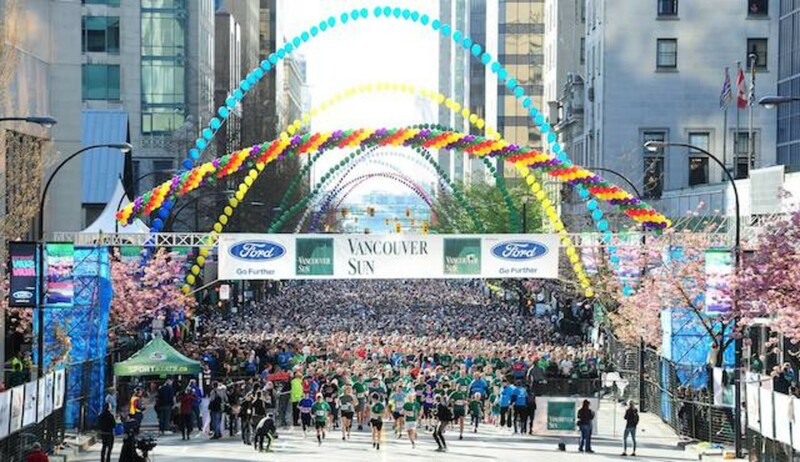 The Vancouver Sun Run, Canada’s largest 10K road race, will celebrate its 35th anniversary on Sunday, April 14th. Since it began in 1985, over 1.1 million people have taken part in the event with an estimated 40,000 expected to run this weekend. The race takes runners through Vancouver’s downtown core down Georgia Street, into the world famous Stanley Park, and across the Cambie Street Bridge for the final stretch to the finish line outside BC Place Stadium. 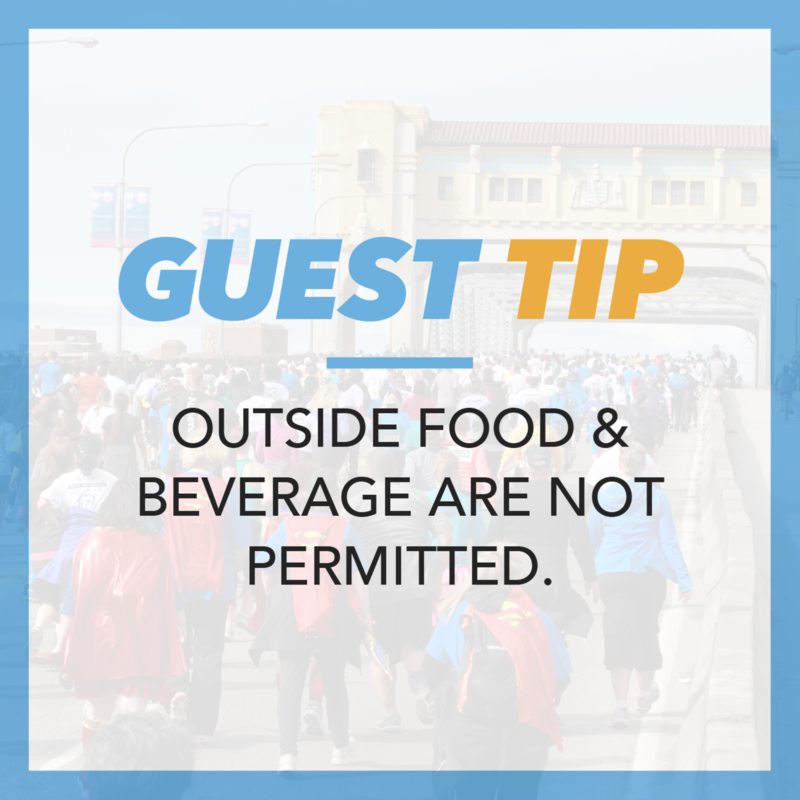 Participants, along with friends and family, are then encouraged to enter the stadium for the wrap party featuring live entertainment, the Kids’ Zone, an awards’ ceremony and refreshments. 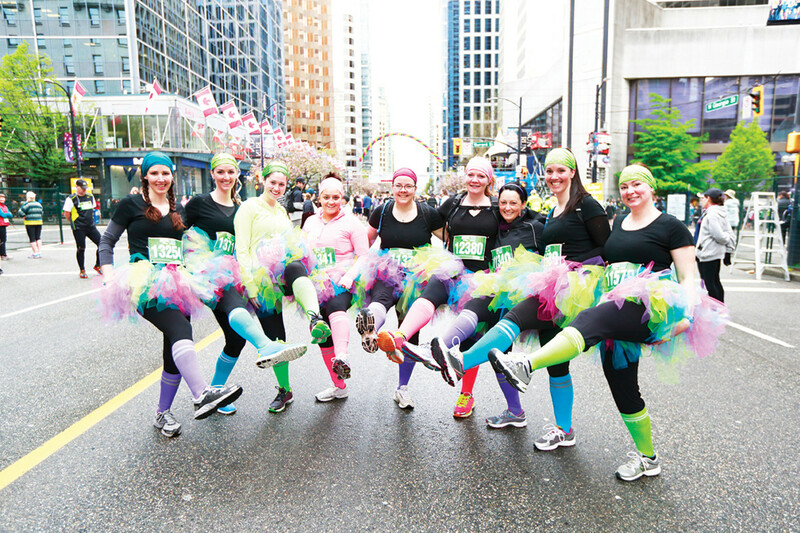 Visit BC Place to collect your race day bib and visit the many sponsor booths before race day. Race package pickup are for Individuals and Shaw 2.5K Mini Sun Runners ONLY. Click here for more information about the Sun Run Fair & Race Package Pickup. 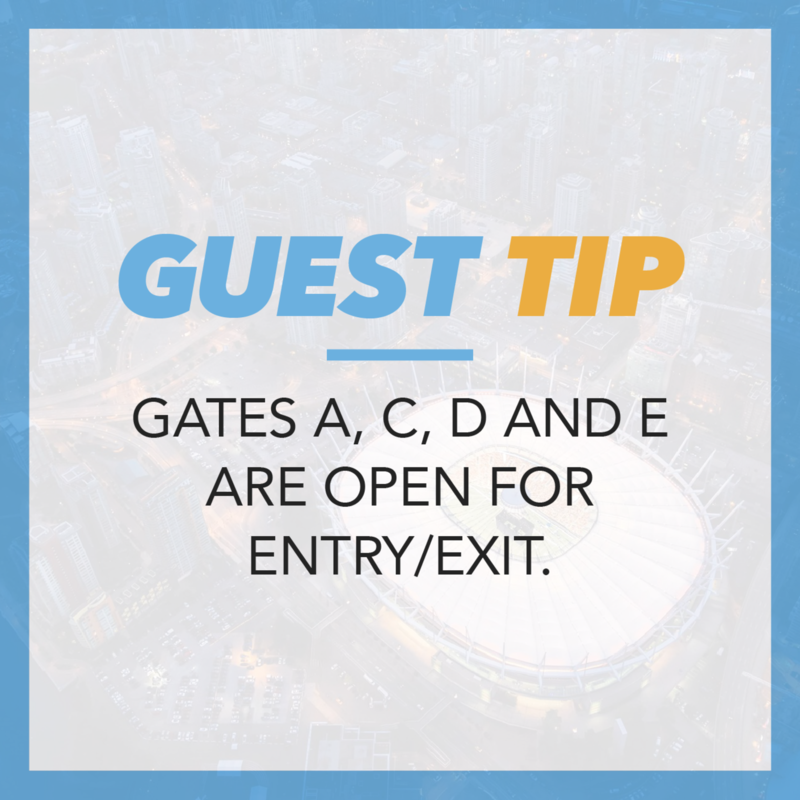 After the race, runners are encouraged to enter BC Place Stadium to enjoy the wrap party along with family and friends. The celebration includes live entertainment, a Kids’ Zone, awards’ ceremony for the top finishers and free refreshments. 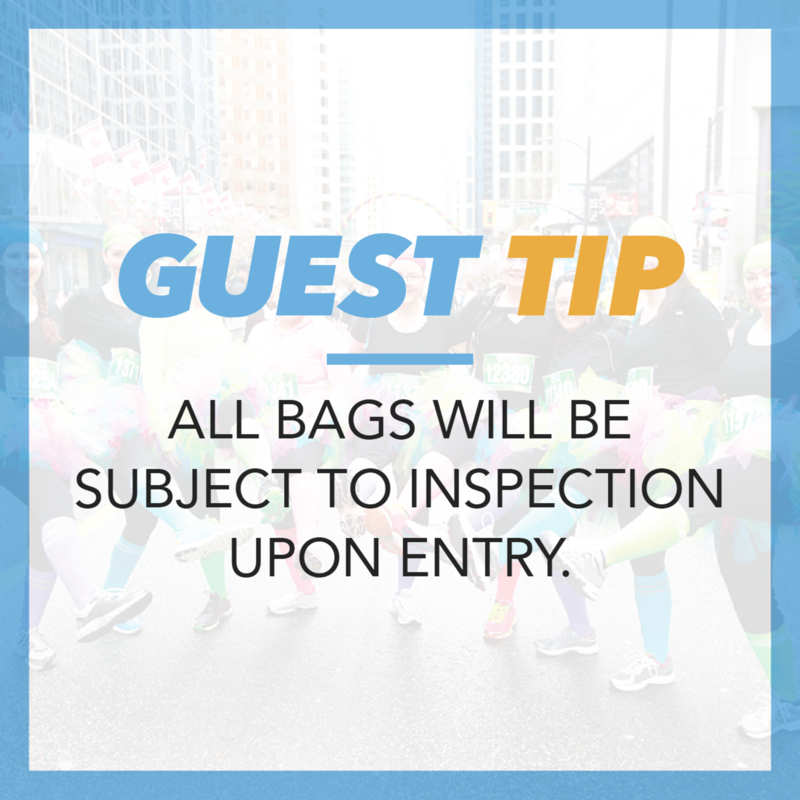 All bags will be subject to inspection upon entry. Leave pets at home. 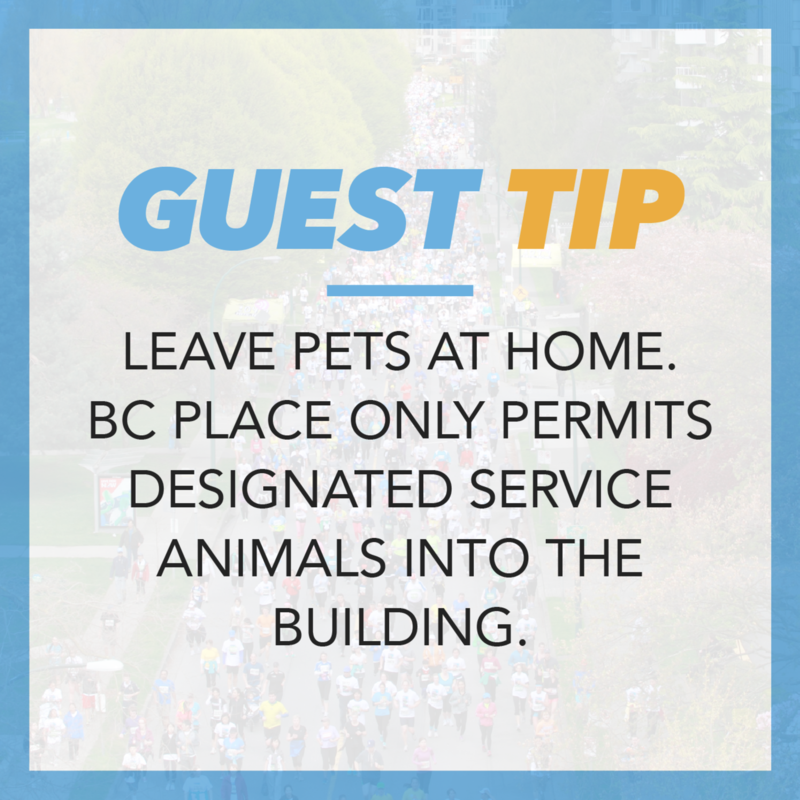 BC Place only permits designated service animals into the building. 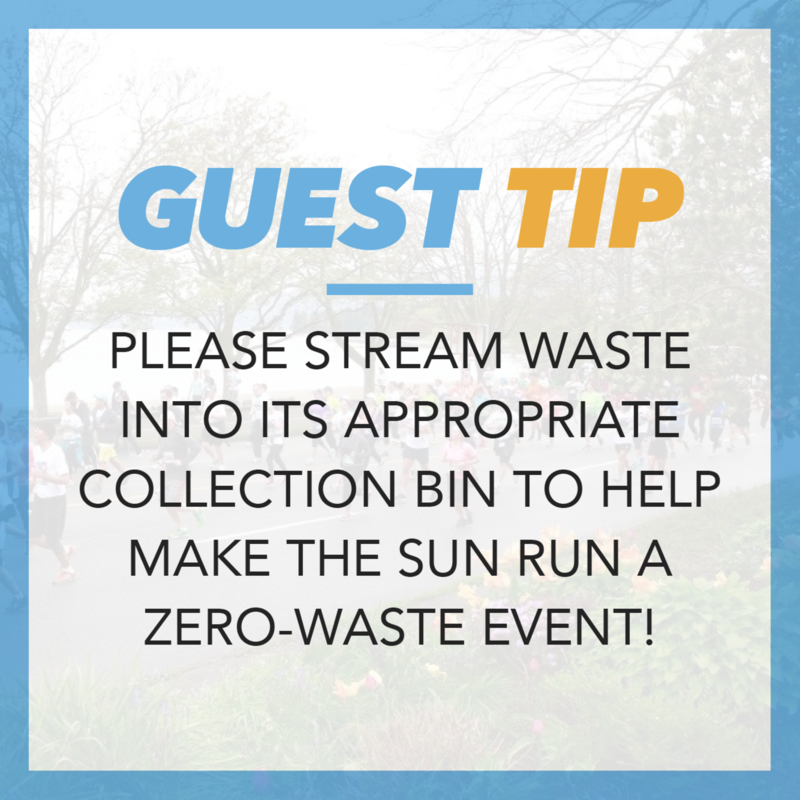 Please stream any waste into the appropriate collection bins to help make the Sun Run a zero-waste event!